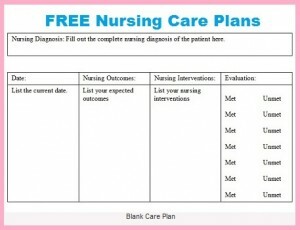 This is a nursing care plan and diagnosis for Tracheostomy or Tracheotomy. It includes nursing diagnosis for: Risk for ineffective airway clearance, risk for infection, and impaired verbal communication. As a nurse you may encounter a patient who has a tracheostomy. In the medical setting you may hear it called a “trach”. A patient with a tracheostomy “breathes” through an opening that a surgeon through a procedure called a tracheotomy created through the trachea compared to how the average person who breathes through their nose. The nose in an average person acts as a filter (which filters out bacteria, virus, and debris from entering the lungs). However, this is not the case for a person who has a “trach”. A person with a tracheostomy is at risk for many different medical issues due to the in ability to clear secretions and the amount of care it takes to care for a tracheostomy etc. Why is a tracheostomy used? Is a tracheostomy permanent or is it reversible? Most commonly a tracheostomy is performed in patients who have had some type of throat cancer or paralysis. However, it may be performed in emergency situations as well. Typically a tracheostomy is not permanent and can be reversed but if a patient has had a severe type of cancer or paralysis it may be permanent. A patient is admitted post-opt on your unit after having a procedure for a tracheostomy. The patient is a little drowsy but slowing becoming more alert but is unable to communicate with you due to the inability to produce speech from the tracheostomy. The surgical site is moisten with petroleum jelly and has multiple sutures around the site. You have orders to administer saline drops every 2-4 hours to keep secretions from building up around the site and to apply petroleum jelly around the stoma every 3 hours to keep the stoma clean. In addition, the patient has a trach collar on with humidified oxygen at 30%. At the bedside you have endotracheal suction to suction the patient as needed. Patient’s vital signs are BP 115/82, HR 85 (sinus rhythm), oxygen saturation 99%, respiratory rate 16, and temperature 99.6 ‘F. The patient’s wife is with him. The wife states she thinks her husband is getting mad at her because he can’t communicate with her. During your assessment while asking the patient questions he became agitated because of his inability to communicate with you and his wife. You note he throws his hands up in the air and shakes his head in frustration. As the day progresses you note that he is starting to produce more secretions around his stoma and at times starts to cough to remove the secretions but is unable to completely remove them. You have suctioned him 3 times and the mucous is thin and clear in nature. Risk for ineffective airway clearance related to increased secretions secondary to tracheostomy as evidence by patient is post-opt from tracheostomy placement and is having increased secretions and difficulty removing them. Risk for infection related to excessive pooling of secretions and bypassing of upper respiratory defenses as evidence by patient having a tracheostomy and increased secretions. Impaired verbal communication related to inability to produce speech secondary to tracheostomy as evidence by patient unable to verbally communicate on assessment. The wife states she thinks her husband is getting mad at her because he can’t communicate with her. The patient is a little drowsy but slowing becoming more alert but is unable to communicate with you due to the inability to produce speech from the tracheostomy. The surgical site is moisten with petroleum jelly and has multiple sutures around the site. You have orders to administer saline drops every 2-4 hours to keep secretions from building up around the site and to apply petroleum jelly around the stoma every 3 hours to keep the stoma clean. In addition, the patient has a trach collar on with humidified oxygen at 30%. At the bedside you have endotracheal suction to suction the patient as needed. Patient’s vital signs are BP 115/82, HR 85 (sinus rhythm), oxygen saturation 99%, respiratory rate 16, and temperature 99.6 ‘F. The patient’s wife is with him. The wife states she thinks her husband is getting mad at her because he can’t communicate with her. During your assessment while asking the patient questions he became agitated because of his inability to communicate with you and his wife. You note he throws his hands up in the air and shakes his head in frustration. As the day progresses you note that he is starting to produce more secretions around his stoma and at times starts to cough to remove the secretions but is unable to completely remove them. You have suctioned him 3 times and the mucous is thin and clear in nature. The patient will not experience aspiration during his hospitalization. The patient will demonstrate correctly how to properly clear airway by discharge. The patient will report risk factors that are associated with infection and perform proper precautions when needed. The patient will demonstrate improved ability to express self by discharge. The patient and all hospital staff will demonstrate meticulous hand washing techniques throughout hospitalization. The patient and his wife will describe 2 methods on transmission of infection by discharge. The nurse will maintain and assess for adequate humidity of inspired air every 2 hours. The nurse will keep stoma free from any debris or mucous buildup as needed. The nurse will deep suction the patient as needed. The nurse will educate the patient how to properly cough and deep breathe throughout the hospitalization. The nurse will provide the patient will alternative methods of communication per his preference example: flash cards, pencil and pad, eye blinks.